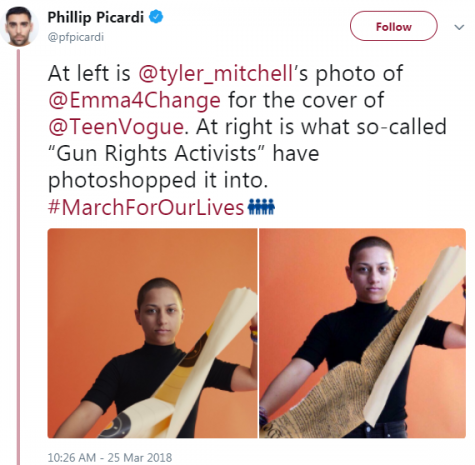 In the wake of the March For Our Lives event, a fake animation of Emma Gonzalez, one of the teens leading the movement, went viral after Gab, a “free speech social network,” posted it on Twitter. The short GIF depicted Gonzalez ripping the U.S. Constitution in two. The tweet gathered 1,500 retweets and 2,900 likes. After a few hours did Gab finally specify that the GIF was “obviously a parody/satire,” or fake. The still images, which look more realistic than the animation, appeared to be taken as legitimate by some Twitter users. The original animation is from a Teen Vogue story that was released on March 23. 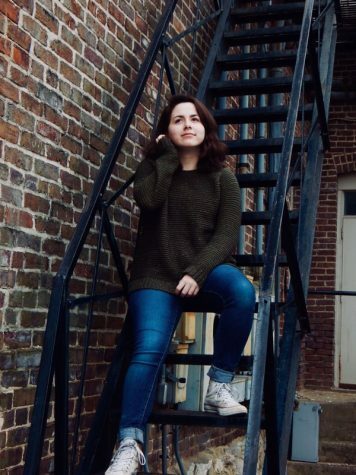 It featured Gonzalez and other teens. 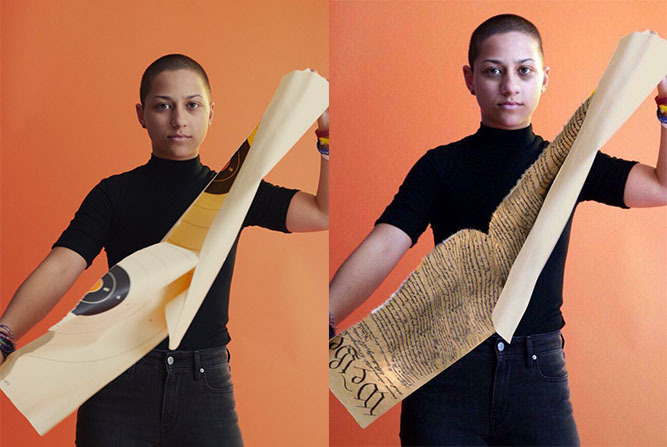 It shows Gonzalez ripping a target poster rather than the Constitution. Even a professor at the University of Wisconsin at Madison debunked the photo. However, this didn’t stop the image from going viral. The actor, Adam Baldwin, who has a verified account on Twitter, tweeted the animation to his quarter of a million followers with a hashtag reading “Vorwärts!” — the German word for “forward.” Some believe this is a reference to the Hitler Youth’s march song. These students have been insulted before. A Republican candidate for the Maine State House dropped out of the race after comments he made on Twitter drew heavy criticism. The candidate, Leslie Gibson, called Gonzalez. a “skinhead lesbian” and David Hogg, a “moron” and a “baldfaced liar.” This drew the attention of Hogg himself, who asked people in Maine to run against Gibson in Maine. Gonzalez, Hogg, and the many other students at the forefront of the March For Our Lives movement will see many more incidents like this happening in the future; this isn’t the first time they’ve been bullied and it most certainly won’t be the last.